NOTICE: This product is VOC compliant and available to consumers in AZ (Maricopa County), CA, CT, DE, IL, IN, MA, MD, ME, NH, NJ, NY, OH, PA, RI, VA (Northern), VT, Washington, D.C., and Canada. Consumers in those regions can NOT purchase 1-gallon and/or 5-gallon bottles of this product. 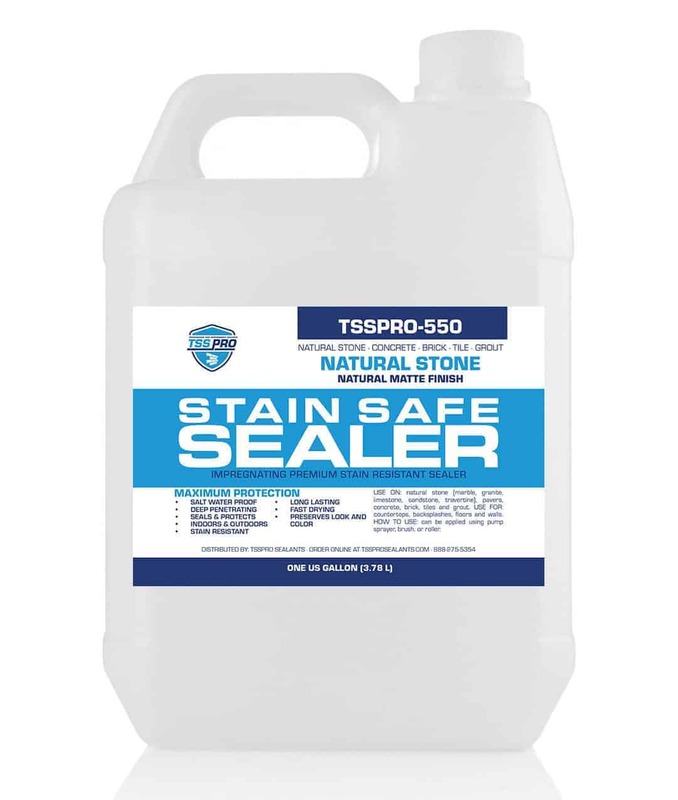 TSS550 is a cutting-edge solvent based sealer designed specifically to provide maximum protection against the toughest soil, water, oil, and wine based stains. It is ideal for natural stone, pavers concrete, brick, tiles and grout. TSS550 was formulated to provide ease of application and peace of mind from common household and outdoor cooking stains. TSS550?s advanced technology produces application friendly properties, including ease of application and use; keeps treated surfaces looking better longer. Also discourages the growth of discoloring mold and mildew.